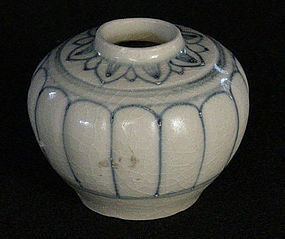 A canning jar from an early American pottery. 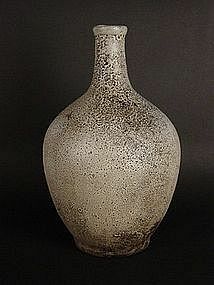 H.8.5'x Base Dia.5". 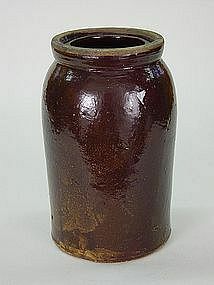 This 19th century canning jar (pot) has a rich brown glaze (Albany slip?) 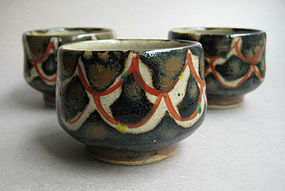 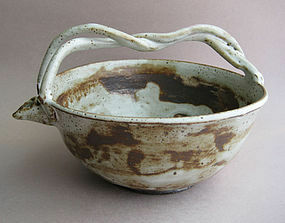 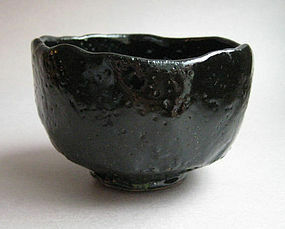 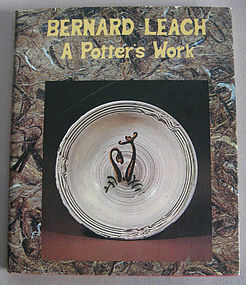 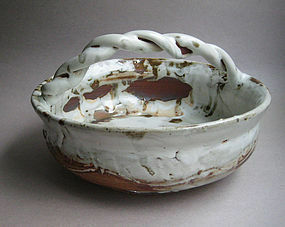 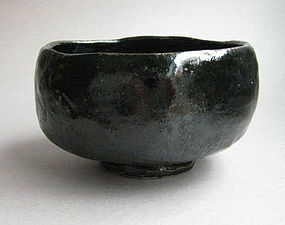 and exhibits the simple beauty of traditional functional pottery. 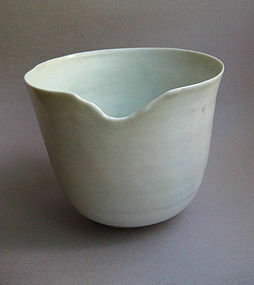 It makes a wonderful flower vase. 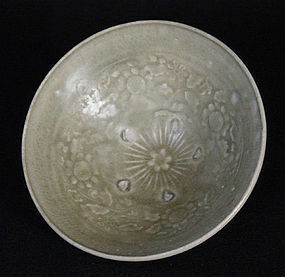 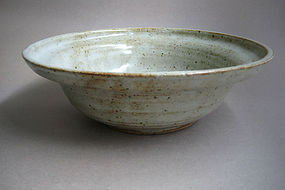 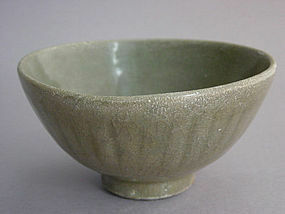 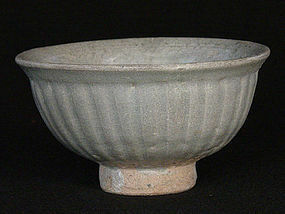 Celadon Bowl, Vietnam, ca.14th-17th C.
Ceramic Bowl, Vietnam, ca. 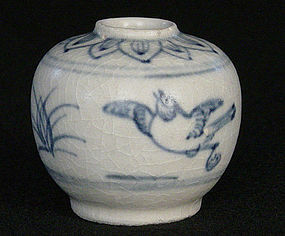 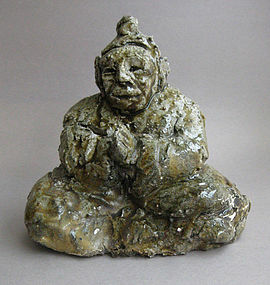 14th-17th C.
Ceramic Jarlet, Vietnam, ca. 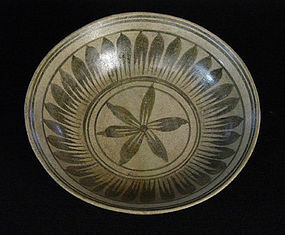 15th-17th C.
Dish, Khalong Kilns, Northern Thailand, ca. 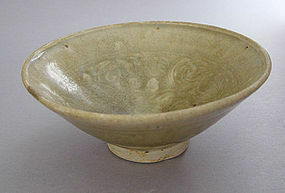 14-16th C.